Premium quality pearlescent paper. 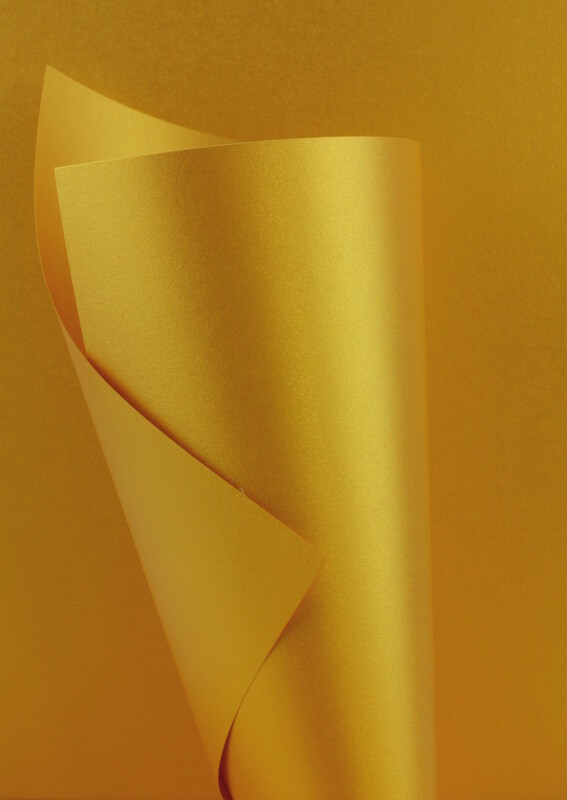 A really lovely bright yellow gold pearly paper with a reflective sheen on both sides. Made from a coloured pulp, so no white edges to be seen. Fabulous thick paper for special occasions, wedding stationery, envelopes etc. We have matching cardstock in this colour too. Applications:- Luxury printed invites, wedding stationery, eid, christmas decorations or premium quality gift wrapping paper etc. Printer suitability:- All our pearlescent paper is suitable for laser printing. Results vary depending on the printer used and the thickness of the paper. Prints nicely in black and in colour on our test laser printer. Not suitable for most inkjet printers.